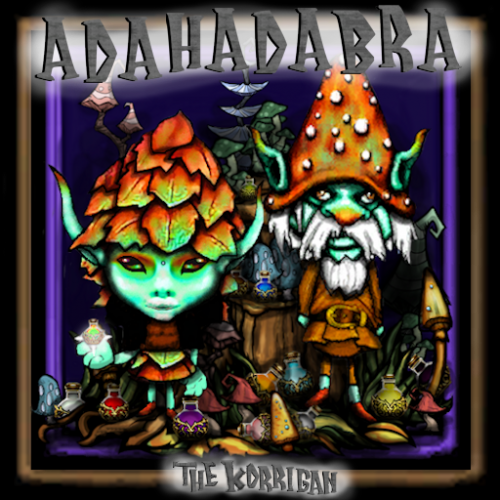 They are the Korrigan Twins, Ada&Hadabra! Choose your gender and play! They know how to quickly gather resources and run much faster than normal. They possess a great knowledge in Nature. Thus, they can craft their own potions, which allow them to be more powerful than they seem. There are 13 potions to craft in totality, each one tweaking different parametres and mechanics of the game. A configurable option is at the player discretion, leaving them with the choice of the light potion color. They've learn to build their own mushroom farm to supply their need of mushrooms when it comes to craft the potions. Some of them prefer them big, really big! You can build a bigger farm with bigger mushrooms! A configurable option is at the player discretion, leaving them with the choice of the spawning method. Also, the twins can craft their own hunting knife under the tools tab. Indeed, the hunting knife is not claimed to be a giant killing machine, but rather to hunt little creatures such like birds and rabbits. A great way to harvest the feathers they need for their potions. This mod comes with custom sounds for the characters. Yes! A funny goblin talking voice will make your travel really unique. And uh... they also have a unique talking yellow color. *** Players choosing this mod are aware of the risk it may causes. Please, report any crash/bugs that may occur, we will find a way to fix the issue. Do not try to catch the mushroom tree spores! Just let them light the night!